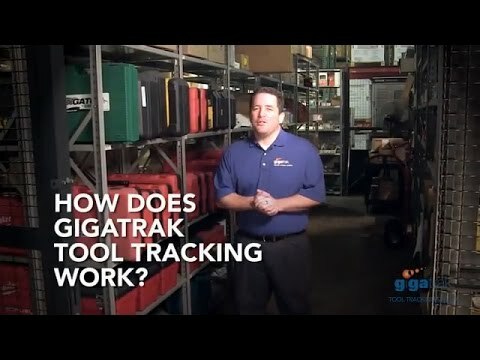 Gigatrak's Tool Tracking System functions as an inventory control and asset tracking platform with which Businesses can manage and track the use and maintenance of valuable tools and equipment using a simple barcode scan. With the Tool Tracking System’s barcode scans, users - who may include contractors, manufacturers, field service & repair companies, government agencies, and utilities & municipalities - can manage and locate tools on job sites as well as provide employees with reports of the amount they owe. Users can also schedule maintenance, calculate depreciation, track repairs and keep a record of the historical data-trail on equipment usage. With the Tool Tracking System, users can create an equipment catalog with which to organize their tools, track tools that are in use as well as track binned items, depreciation and warranties. The Tool Tracking System also includes mobile handheld scanning technology which allows users to identify, count, audit, enter new tools and check tools in and out to jobs, employees, locations or containers. Further to checking, scanning and tracking tools, users can manage tool reservations, produce audit reports and create accurate reports on assignment, history, depreciation or valuation. The Tool Tracking System enables users to design and print barcode labels which connect users to the detailed information stored in the tool Master Catalog. The information stored and tracked in the catalog provides users with full visibility over who is using or has used their equipment and ensures jobs and employees stay accountable for their equipment use. Since all asset information is centralized in the tool catalog and is accessible from any computer as well as mobile device through the web portal, the Tool Tracking System offers a flexible and efficient service for controlling and tracking tools and equipment. There are currently no reviews of Tool Tracking System. The cloud based Tool Tracking System software connects all devices and functions on Android, iOS and Windows devices. Tool Tracking System includes automatic upgrades and unlimited support. Users can add tool information (Model #, Serial #, etc.) with images, bins and documents, allowing them to create a comprehensive and centralized catalog for all their equipment information. Users can design and print barcode labels, apply them to tools, and then scan them to check tools in and out easily. Tool Tracking System includes over 50 different reports, providing users with a quick and easy way to evaluate equipment assignment, history, depreciation and valuation. Tool Tracking System gives a detailed tool history for each transaction, ensuring jobs and employees remain accountable for the equipment they check out. Users can control tool reservations, giving priority and approval to those jobs and employees who require the tools first. Below are some frequently asked questions for Tool Tracking System. Q. What type of pricing plans does Tool Tracking System offer? Q. Who are the typical users of Tool Tracking System? Q. What languages does Tool Tracking System support? Q. Does Tool Tracking System support mobile devices? Q. Does Tool Tracking System offer an API? No, Tool Tracking System does not have an API available. Q. What other apps does Tool Tracking System integrate with? Q. What level of support does Tool Tracking System offer? Q. Which apps is Tool Tracking System compared to most often?